Oh, my goodness! Lori Benton knows how to weave such a gripping and historical drama. The detail, the characters, the history all come together in such an amazing way. Clare Inglesby is a woman who is already broken when we first meet her. She is in a marriage that she is emotionally done with. She is being dragged pillar to post by a husband that is still trying to live a life, or at least regain a part of one that has been lost to him years ago. Clare has already gone through so much and it is interesting and also, something I could relate to being dropped into in this story. Everything that follows brings Clare to an area where she brought to her lowest. It leaves her completely broken and and wondering to where she needs to put her trust. She deals with such a heart breaking battle that it really pulls at the heart when reading it. Jeremiah Ring is a man we are introduced to at a very particular time for Clare, but ends up being the right time. He is a man who has faced his demons, and is still dealing with them, but is trying his best to take what he has learned and help those around them. He is also a man that is town between two worlds. Once you get to know him, you can see why this is a hard decision for him. The setting for this story was unique one for me. I hear of this type of based story, but usually at an earlier time or later time, but having it weaved near the beginning of the Revolutionary War was one that really brought it all together. There is so much history at this time, that it is sometimes hard to remember so much was going on in different parts of America. 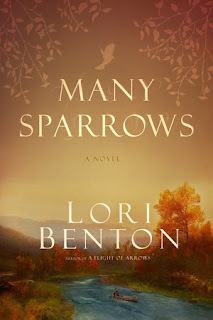 The detail to Lori Benton's writing is beyond what I'm used to reading. She is able to capture the smallest of details and flesh it out and bring you to that scene. She is able to weave in the story of faith in a way that it pulls at the heart and make you think. 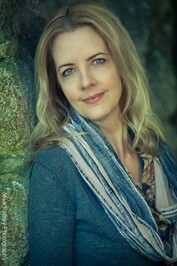 Lori brings a story of faith, though set back in time, can speak to someone today. Thank you to the INSPY advisory board and the Publisher, I received a copy of this book for free.